Looking for reliable pest control for getting rid of carpenter ants? 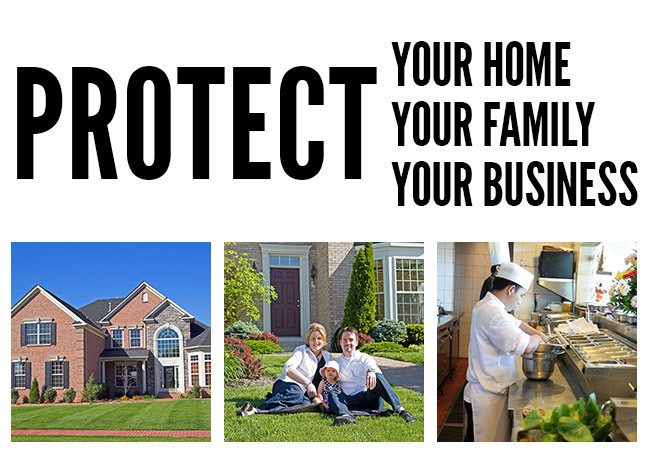 Call Adept Pest, a Renton-based pest control company that services Seattle, West Seattle and the entire Eastside, from Bothell to Bellevue to Kent. We offer fast and dependable pest control for carpenter ants and ALL kinds of ants for homes and businesses throughout the Seattle area. Carpenter ants are common in the Pacific Northwest and are the most prolific wood-destroying member of the ant family (in this area). They can be a HUGE problem as they can cause quite a bit of damage when they decide to set up shop in houses or other wooden structures. While they do not eat wood like termites, they do destroy and remove wood when they build their nests. This results in damage and if the infestations go unchecked for a period of time, the structure may become unsafe. You can easily identify them as they are black and quite large in size (though some can be smaller and reddish brown in color). The best way to recognize them is that they have a smooth rounded thorax (middle body section) when viewed from the side whereas other ants have notches or dents in the thorax section. The most common carpenter ant in Washington is the Camponotus Modoc, which is black with reddish legs. If you have spotted these little critters inside your house or have found small piles of sawdust called frass, there’s a good chance they have established a nest within your home. Frass is the wood byproduct of the Carpenter ants activity of excavation and is usually deposited near their nesting site. FYI-You can tell frass from ordinary sawdust as it will contain dead insect body parts. If you see ants but no frass, then you should start looking for their nest near damp locations, such as basements, crawlspaces and attics. They also favor wall voids near dishwashers, window frames, bathrooms and fireplaces. Remember, carpenter ants prefer wood that is water damaged or decaying but once a nest is established, they will spread out into dry wood. The best time to spot them is when they forage for food as they will be traveling from their nest to a food source and back again. They like to use foliage that is touching the home or travel along service wires or pipes so make sure to look at these areas too. During spring and summer, they are most active from 8 to 10 pm so look for them within this time window and bring your flashlight-you’ll need it. 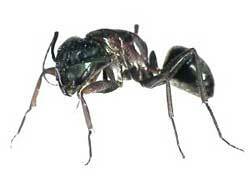 Adept Pest uses an Integrated Pest Management approach to carpenter ant control. To start, our highly trained technicians will do a free inspection where we thoroughly examine your home and exterior surroundings so we may identify and determine the cause of the Carpenter ant infestation. Our technicians will make every effort to locate any existing Carpenter ant colonies nesting within your home as well as nesting sites in trees, stumps, woodpiles or outbuildings on your property. In addition, our techs will provide you with a written report detailing nesting sites and points of entry as well as alert you to conditions conducive to Carpenter ant infestations along with suggestions for prevention and repair. There are certain conditions Carpenter ants find attractive so here’s a list of things you can do to prevent them from establishing a nest in your home or yard. The best way to control carpenter ants is by direct treatment of the colony so locating the source (or nest) is vital. Once the colony is located, treatment will be assessed using environmental, biological, mechanical and chemical methods though we always carefully consider efficacy, cost and safety of your family and the environment. After considering all these items, our technicians will present you with the most effective control method for your situation. Once we have treated the nest(s) and gotten rid of the carpenter ants, it’s important you follow the recommendations listed in your inspection report and remedy the conditions that attracted the ants in the first place. If you don’t correct these problem areas, the chance of another infestation is much higher. Where do they build nests? First of all, you need to know they construct 2 different types of nests. The Parent Colony is usually established outdoors in a decaying tree base, tree stump or landscape timber and has 1 egg-laying queen, workers and larvae. The 2nd type is the Satellite Colony, which originates from the Parent Colony and has workers, eggs and larvae but no queen. It’s the Satellite Colony’s nest that is usually found within a home though it is possible for the Parent Colony to be based in a home if the conditions are right (damp or decaying wood). While they destroy wood when they build their nests, they do not eat it. They are omnivorous-they eat other dead insects, plant juices and a product called honeydew, which is secreted by aphids. They will also feed on sweets and proteins found inside your home so do not leave food out on counters or pet food in bowls as these are invitations for carpenter ants.